Most pool owners would never dream of leaving a small child unattended near their pool. The first line of defense in protecting a child from drowning is vigilant supervision near the water. 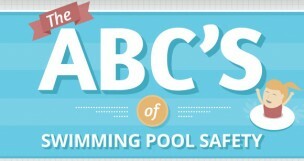 The CDC has cited that, each day in the US, two children die as a result of drowning. These are preventable tragedies. Many pool owners are not even aware of the risk that a swimming pool can pose to their pets, or to other pets in the community that might access their pool. 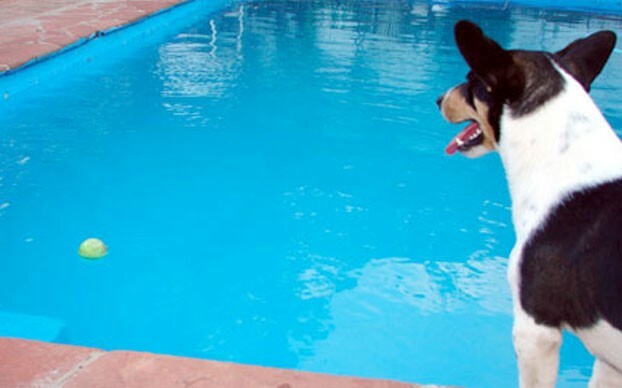 Although dogs do have a natural ability to swim, that does not mean they have a natural ability to get out of a pool. According to the Association of Pet Dog Trainers, just as much precaution should be taken to protect your pet from drowning as any member of your family. The reason that some dogs become victims of accidental drowning lies in the fact that many dogs are not trained on how to exit a swimming pool. Although the dog does know how to swim, it can only swim for so long before it becomes exhausted and drowns. Another factor in pet drowning is an unfortunate phenomenon known as the “death grip.” A dog will grip its paws into the ledge of the pool and attempt to haul itself out of the water, but because dogs are not built to move their bodies this way, it is almost impossible to leave the pool in this fashion. The dog will continue trying until it is too panicked and exhausted to save itself. There are measures that pet owners can take to ensure that their pets are just as safe as any other member of the family this summer. An older dog or dogs with any type of physical disability should not be allowed around the pool unsupervised. If your pet is physically impaired in any way, their risk of drowning increases substantially. Nervous pets that are prone to panic should also not be left near water unsupervised. You should spend adequate time training your pet where to enter and exit your pool. Most animals will panic long before they locate the steps in a pool, unless they have been repeatedly instructed beforehand. In the same way you would spend time educating your children on water safety, you should educate your dog on water safety as well. Dogs, like children, can be very clever. Even the most vigilantly supervised dog can sometimes slip outside. If your pet does find himself near your pool unsupervised, the only thing that will absolutely prevent him from accidentally entering your pool is a pet safety fence. 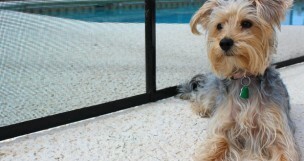 A pet safety fence can be used to enclose your pool, close off a garage, or to create a special play yard so that your pet can have his or her own safe space near the family. You can view the multiple ways that our pet safe fences can be used to keep your pet out of danger on our pet safety fence page. We understand that your pets are members of your family, and we would like to help you help them stay safe this summer. 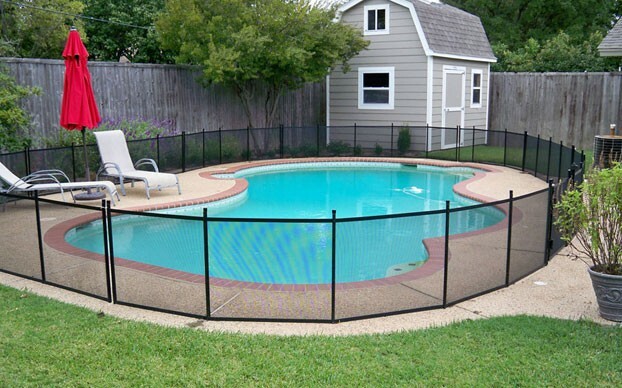 If you would like more information or would like to get a FREE Quote on pet safety fence, contact your local pool fence dealer or call us at 1-800-992-2206.